Yeshivos in the school district encompassing Monsey and New Square are “in total shock” as a committee they cooperated with recommended that a state monitor be appointed with power to veto the elected school board’s decisions. 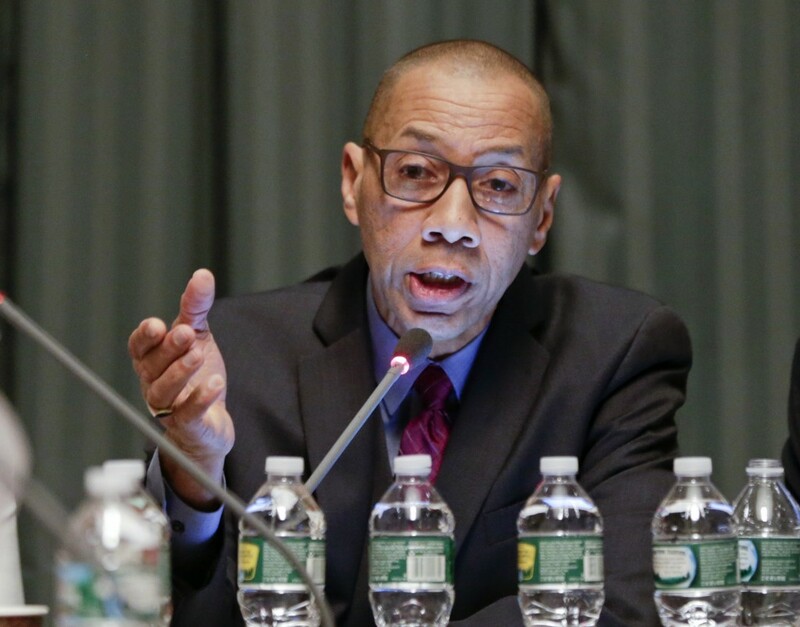 The report, submitted on Monday by former New York City Schools Chancellor Dennis Walcott, who headed the three-member panel, is also calling for yeshivah busing to combine boys’ and girls’ routes in the East Ramapo school district. Shortly after the panel handed in the report, the New York State Board of Regents unanimously approved its recommendations. One yeshivah official in the district said that yeshivos in Monsey are stunned at Walcott’s report. “The final report to the Regents, however, went in a different direction,” Weissmandl said. Walcott’s panel made a total of 19 recommendations on how to improve the district’s schools. The most far reaching one, though, will need the approval of the legislature. While the Democratic Assembly earlier this year passed a bill to impose an outside monitor, the Republican Senate did not go along. Walcott said he was hopeful the Senate would agree after viewing his report. The panel recommended 18 additional reforms, including an independent election monitor for school-board elections, increasing state aid by about $15 million a year and ensuring that at least one public-school parent serves on the school board. The report inexplicably contends that East Ramapo, which buses more children to school than any other in the state outside New York City, spends “slightly below average” of other districts on busing per pupil. However, according to the yeshivah official, yeshivos only get about $450 per pupil, while nearby districts get an average of $1,400 per student. The East Ramapo school board represents the district, which is mostly Orthodox Jews. About two-thirds of the district’s 32,000 students attend yeshivos.